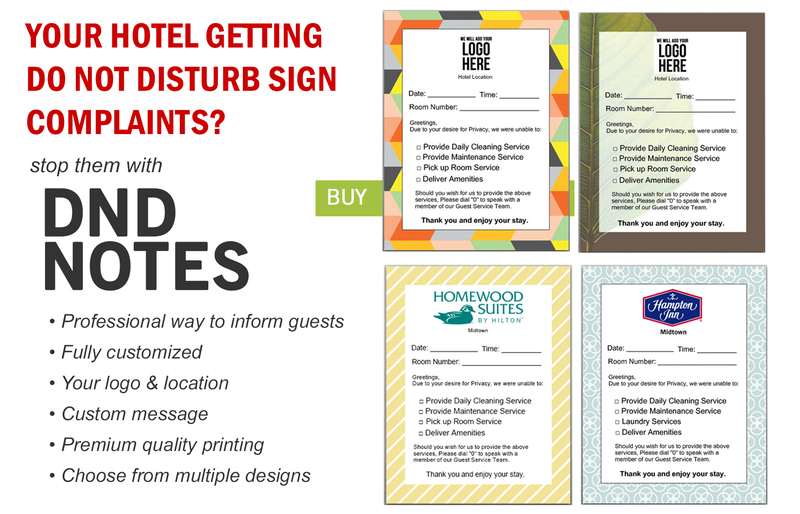 Create a great guest experience when guests leave Do Not Disturb on door. 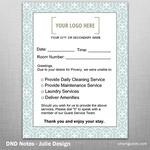 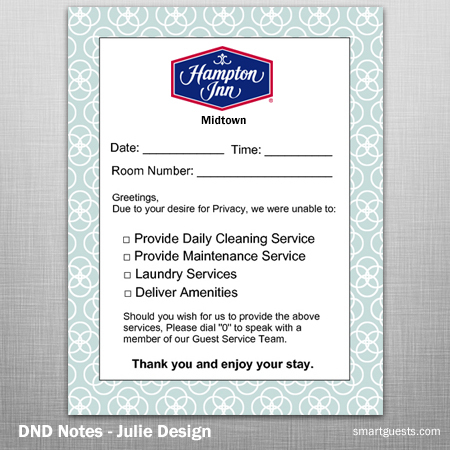 Slide this carefully crafted & personalized note under door. 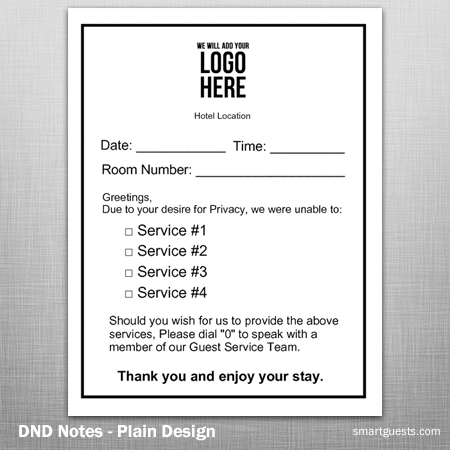 Most hotels do nothing to notify and anticipate their guest's needs when a room has a DND on the door. 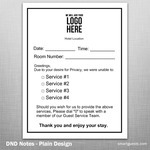 Create a better guest experience and stop negative comments from showing up online. 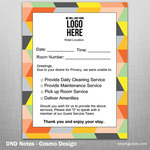 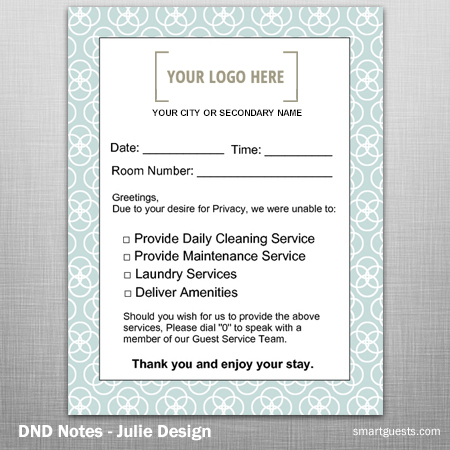 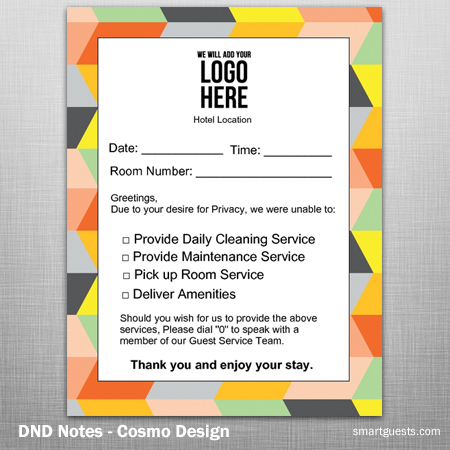 Our fully customizable Do Not Disturb Notes include your hotel's name, logo and custom fields. 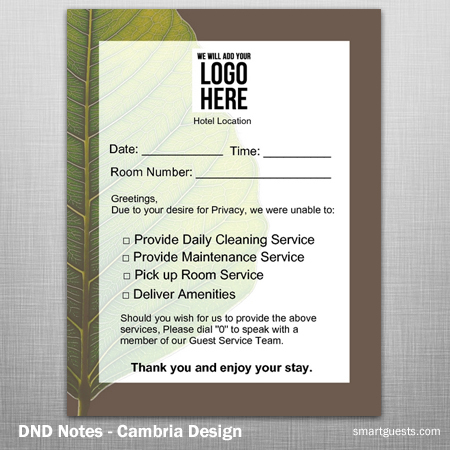 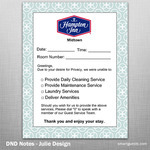 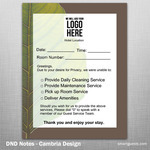 These notes are printed on premium card stock, strong even to slide under a door and designed to please any eye.